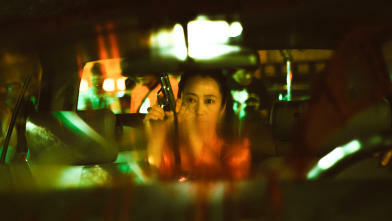 With Ash is Purest White, Chinese master Jia Zhangke delivers a gangster film with some martial arts thrown in, an epic love story and at the same time a social commentary on the dramatic changes in China in recent years. At this year's festival the director explained the origins of his film and his attitude to cinema. Dancer Qiao and gangster Bin’s violent love story plays out from 2001 to 2017 in a rapidly changing China. In Jia Zhangke’s new film, dancer Qiao and mob boss Bin’s violent relationship plays out against a background chronicling contemporary China from 2001 to 2017; from mining ghost towns to entire villages sacrificed for new dams. Surprising winner of the Golden Lion at the Venice Film Festival. 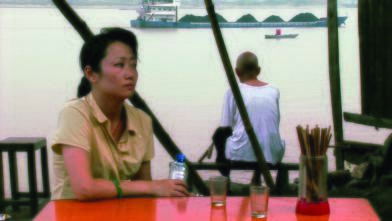 In one of the towns that will disappear under water through the rising waters of the gigantic Three Gorges Dam, a man is looking for the woman he deserted years ago and the woman is looking for her missing husband. Alongside a brilliant exercise in filming with high-definition, an emotional and social masterpiece. See also Dong. Contemporary street-corner kids in China make good use of their time, because they want to die young. Before then, Xiao Ji first wants to bed a model; Bin Bin is mainly interested in karaoke. The third film by the greatest talent of the Chinese cinema.